Romney’s claims come pretty much right at the beginning of this interview below but he’s said it twice today. It’s gotten pretty little press even though these were public interviews; and kudos to Huffpo’s Jon Ward for putting together the story. Romney’s argument is that even though he pays only 13.9%, he’s really paying something like 45% to 50% because the investment income he lives on comes from corporations. And those corporates also pay taxes. The nominal corporate tax rate is 35%, though of course many pay much lower. But if you add Romney’s rate together with this completely unrelated corporate tax he doesn’t pay, you get 50%, which Romney is now saying is real tax rate. In other words, he’s claiming he pays both taxes. This is a preposterous explanation on so many levels. TPM’s employees pay tax. Are they also paying the tax TPM Media LLC pays? Or another example. Like everyone else I pay various taxes on my personal income. Then I go over to the store and buy my son a toy and I’m taxed on the same income AGAIN. This is silly. Investment income is taxed at 15%. End of story. This has long been a hobbyhorse for conservatives who do not believe there should be any tax on investment income at all. But it’s really just game playing. In a court of law, say a murder trial, a jury is asked to decide, beyond reasonable doubt, whether a person is guilty or not guilty. In several jurisdictions including 34 of the states of the US, a guilty verdict may result in an execution. Numerous cases are on record where later evidence not available at the time of trial, especially DNA evidence, has cast retrospective doubt on a guilty verdict and in some cases led to a posthumous pardon. Courtroom dramas accurately portray the suspense that hangs in the air when the jury returns and delivers its verdict. All, including the lawyers on both sides and the judge, are on tenterhooks and hold their breath while they wait to hear the foreman of the jury pronounce the words, “Guilty” or “Not guilty”. However, if the phrase “beyond reasonable doubt” means what it says, there should be no doubt of the outcome in the mind of anybody who has sat through the same trial as the jury. That includes the judge who, as soon as the jury has delivered its verdict, is prepared to give the order for execution — or release the prisoner without a stain on his character. And yet, before the jury returned, there was enough “reasonable doubt” in that same judge’s mind to keep him on tenterhooks waiting for the verdict. You cannot have it both ways. Either the verdict is beyond reasonable doubt, in which case there should be no suspense while the jury is out. Or there is real, nail-biting suspense, in which case you cannot claim that the case has been proved “beyond reasonable doubt”. American weather forecasters deliver probabilities, not certainties: “80 percent probability of rain”. Juries are not allowed to do that, although it’s what I felt like doing when I served on one. “What is your verdict, guilty or not guilty”? “Seventy five percent probability of guilt, m’lud.” That would be anathema to our judges and lawyers. There must be no shades of grey: the system insists on certainty, yes or no, guilty or not guilty. Judges may refuse even to accept a divided jury and will send members back into the jury room with instructions not to emerge again until they have somehow managed to achieve unanimity. How is that “beyond reasonable doubt”? In science, for an experiment to be taken seriously, it must be repeatable. Not all experiments are repeated — we have not world enough and time — but seriously controversial results must be repeatable or we don’t have to believe them. That is why the world of physics is waiting for repeat experiments before taking seriously the claim that neutrinos can travel faster than light. Shouldn’t the decision to execute somebody, or imprison them for life, be taken seriously enough to warrant a repeat of the experiment? I’m not talking about a retrial. Nor an appeal, although that of course is desirable, and happens when there is some disputed point of law or new evidence. But suppose every trial had two juries, sitting in the same courtroom but forbidden to talk to each other. Who will bet that they would always reach the same verdict? Does anybody think a second jury is likely to have acquitted O J Simpson? My guess is that, if the two-jury experiment were run over a large number of trials, the frequency with which two groups would agree on their verdict would run at slightly higher than 50 percent. But anything short of 100 percent makes one wonder at the “beyond reasonable doubt” held to be sufficient to send somebody to the electric chair. And would anybody bet on 100 percent concordance between two juries? Isn’t it enough, you may say, that there are 12 people on the jury? Doesn’t that provide the equivalent of 12 replications of the experiment? No, it doesn’t, because the twelve jurors are not independent of one another: they are locked in a room together. Anybody who has ever been on a jury (I’ve been on three) knows that authoritative and articulate speakers sway the rest. Twelve Angry Men is fiction and doubtless exaggerated, but the principle remains. A second jury without the Henry Fonda character would surely have found the boy guilty. Should a death sentence depend on the lucky break of whether a particularly perceptive or persuasive individual happens to be picked for jury duty? I am not suggesting that we should introduce a two-jury system in practice. I suspect that two independent juries of six people would produce a fairer result than a single jury of 12, but what would you do on those many (as I suspect) cases where the two juries disagreed? Would the two-jury system amount to a bias in favour of the defence? I can’t suggest any well worked-out alternative to the present jury system, but I still think it is terrible. I strongly suspect that two judges, forbidden to talk to each other, would have a higher concordance rate than two juries and might even approach 100 percent. Yet that, too, is open to the objection that the two judges are likely to be drawn from the same class of society and to be of similar age to each other, and might share the same prejudices. What I am proposing, as a bare minimum, is that we should acknowledge that “beyond reasonable doubt” is a hollow and empty phrase. If you defend the single-jury system as delivering a verdict “beyond reasonable doubt”, you are committed to the strong view, whether you like it or not, that two juries would always produce the same verdict. And when you put it like that, will anybody stand up and bet on 100 percent concordance? If you place such a bet, you are as good as saying that you wouldn’t bother to stay in court to hear the verdict, because the verdict should be obvious to anybody who had sat through the trial, including the judge and the lawyers on both sides. No suspense. No tenterhooks. There may be no practical alternative, but let’s not pretend: our courtroom procedures make a mockery of “beyond reasonable doubt”. This article was published in New Statesman, 23rd Jan 2012, under a different title. 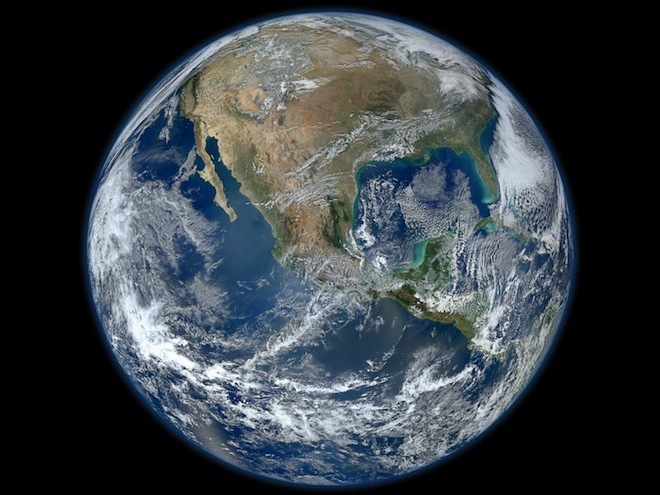 NASA released this incredible new high-res image of the Earth, taken by the recently launched Earth-observing satellite, Suomi NPP. 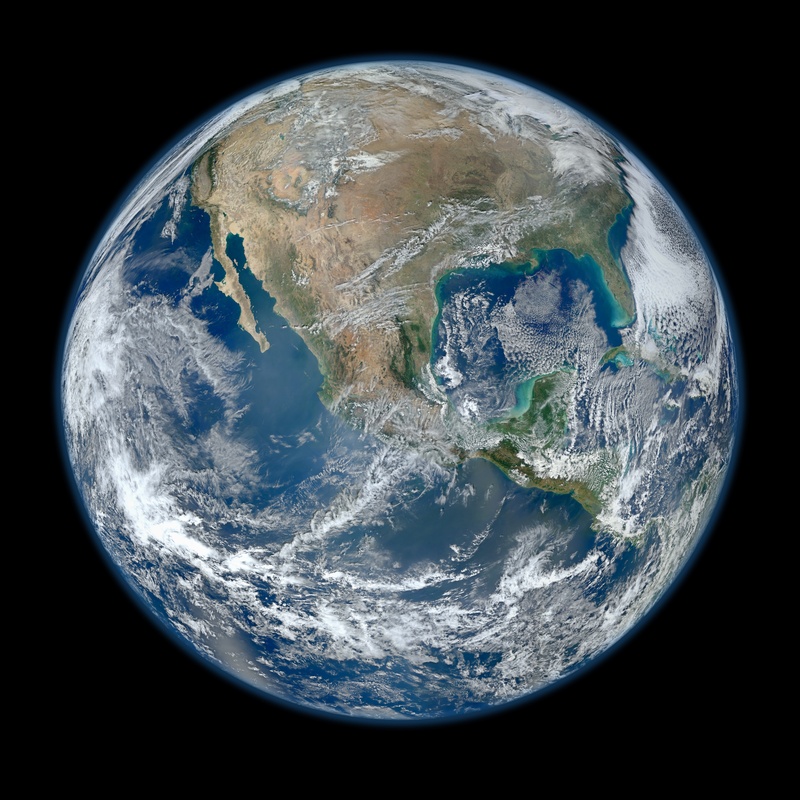 The image, which centers on North and Central America, has been nicknamed “Blue Marble 2012″ after the famous “Blue Marble” image (below) taken during the Apollo 17 mission in 1972. The original Blue Marble, featuring the Arabian Peninsula and Africa, is one of the most well recognized photographs of all time. The Suomi satellite compiled this enormous image from small sections that it photographed over the course of Jan. 4, and the pictures were later stitched together. CRANSTON, R.I. — She is 16, the daughter of a firefighter and a nurse, a self-proclaimed nerd who loves Harry Potter and Facebook. 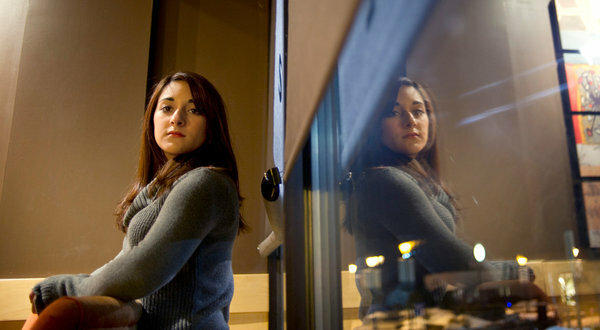 But Jessica Ahlquist is also an outspoken atheist who has incensed this heavily Roman Catholic city with a successful lawsuit to get a prayer removed from the wall of her high school auditorium, where it has hung for 49 years. A federal judge ruled this month that the prayer’s presence at Cranston High School West was unconstitutional, concluding that it violated the principle of government neutrality in religion. In the weeks since, residents have crowded school board meetings to demand an appeal, Jessica has received online threats and the police have escorted her at school, and Cranston, a dense city of 80,000 just south of Providence, has throbbed with raw emotion. State Representative Peter G. Palumbo, a Democrat from Cranston, called Jessica “an evil little thing” on a popular talk radio show. Three separate florists refused to deliver her roses sent from a national atheist group. The group, the Freedom From Religion Foundation, has filed a complaint with the Rhode Island Commission for Human Rights.